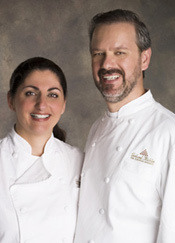 Creative International Pastries, Inc. was founded in 1989 by Five Star Austrian Pastry Chef Gerhard Michler and his wife Mary, with the goal of producing high quality European desserts for the San Francisco Bay Area. Starting off as a two person company, we have evolved into a fully staffed European bakery that has earned the reputation for creating high quality, beautifully designed, delicious desserts, and providing excellent service to our wholesale customers. Our desserts have been served at the San Francisco Symphony’s Annual Opening Gala, important corporate, business, and society events, at weddings and restaurants. U.S. Presidents, Heads of State, foreign dignitaries, local and national politicians, famous sport figures, celebrities, socialites, heads of Corporations and even world famous Chocolatiers have enjoyed our desserts! 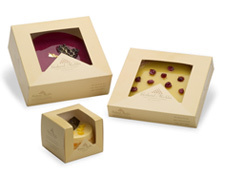 With the opening of our in-house retail outlet, Jolt & Bolt Café in 1996, and the recent launching of our retail line "Gerhard Michler Fine European Desserts", pastry aficionados are now able to purchase Gerhard’s desserts at local and national food retailers. Our standard line of desserts includes cakes, tarts, cupcakes, petite fours, cookies, bars, and individual desserts. In additional to this standard line, we also offer seasonal dessert specials and are especially known for creating extraordinary custom desserts for that very special occasion. Of course we make spectacular wedding cakes! Gerhard and his expert staff are able to accommodate orders that range in size from product minimums to a custom order for thousands of individual desserts. Our desserts are made from scratch and decorated by hand in the “European Way”. We use only high quality ingredients: real butter, fresh fruit, natural colorings, European chocolate and freshly made icing. You can see and taste the difference!